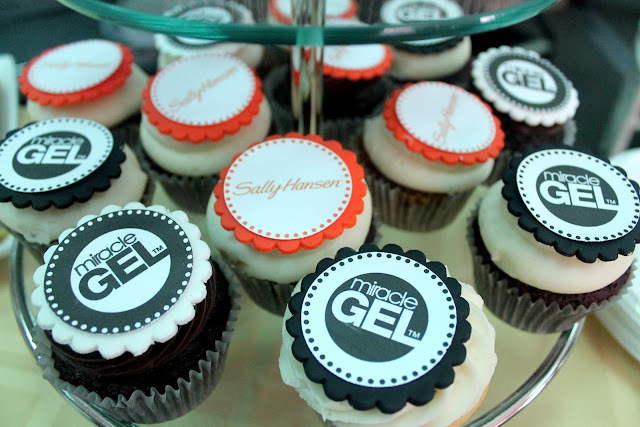 A few weeks ago, I attended the exclusive event for bloggers by Sally Hansen; for the launch of their product, Miracle Gel. 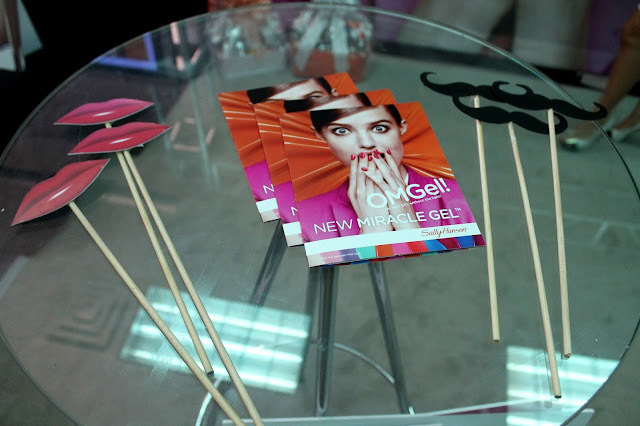 Miracle Gel is a base gel nail polish that doesn’t need UV/LED light, lasting up to 14 days of color and shine. The collection has over 45 colors to choose from and fit your style. Manicure in two simple steps: apply two coats of Miracle Gel Color and finally a layer of Miracle Gel Top Coat and your set. The product have a rich color pigmentation and the best part is that is easy to removes with acetone. What do you think? My favorite colors of the moment are: "Game of Chromes" and "Wine Stock". Discover all shades, HERE. Hace unas semanas, participe del evento exclusivo para blogueras de la marca Sally Hansen; por el lanzamiento de su producto, Miracle Gel. 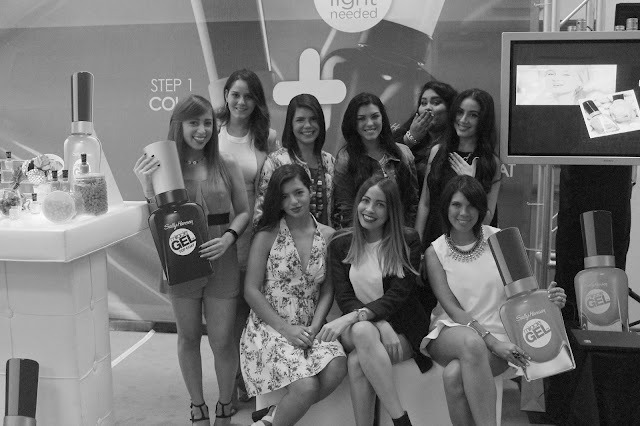 Miracle Gel, es un esmalte a base de gel sin la necesidad de utilizar una lampara de luz UV/LED, ayudando a que su color y brillo duren hasta 14 días. La colección cuenta con mas de 45 colores a escoger que se ajustan a tu estilo. Manicura en dos simples pasos: aplicas dos capas del Miracle Gel Color y por ultimo una capa de Miracle Gel Top Coat y listo. El producto se destaca por su rica pigmentación en los colores y la mejor parte es que se remueve fácil con acetona. ¿Qué les parece? Mis colores preferidos del momento son: “Game of Chromes” y “Wine Stock”. Descubre todos sus tonos, AQUÍ. 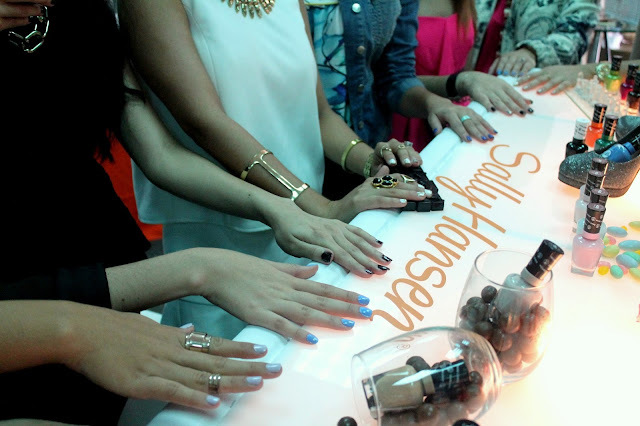 As promised, the giveaway of Sally Hansen products. A lucky winner will enjoy a variety selection of product from the brand. Variety of Nail Polishes (10), Miracle Gel Combo (1), Salon Effects Strips (2), Nails & Cuticles Hand Cream (1), Nail Art Pens (2), Nail Shaper & Buffer (1) and Airbrush Shimmer for legs (1). Fill the (down below) form with your data. And your done! Good luck. 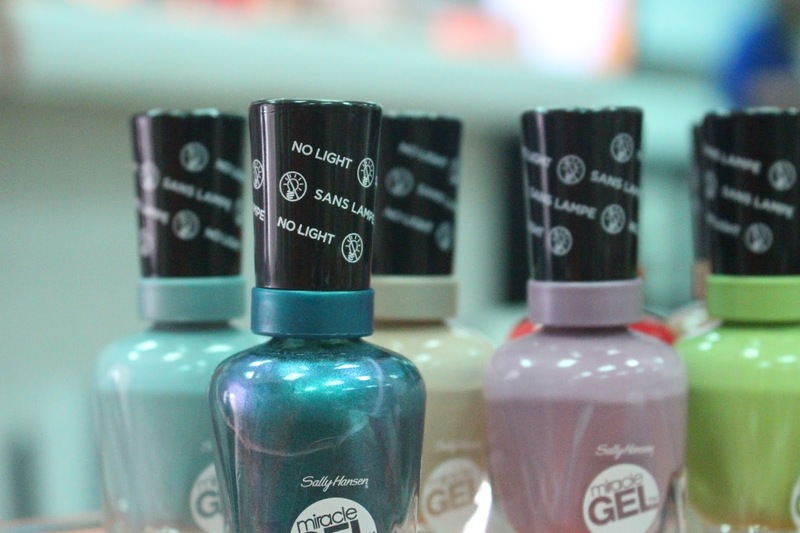 Como les prometí, les traigo el sorteo de productos Sally Hansen; donde un afortunado ganador disfrutará de una selección variada de los productos de la marca. 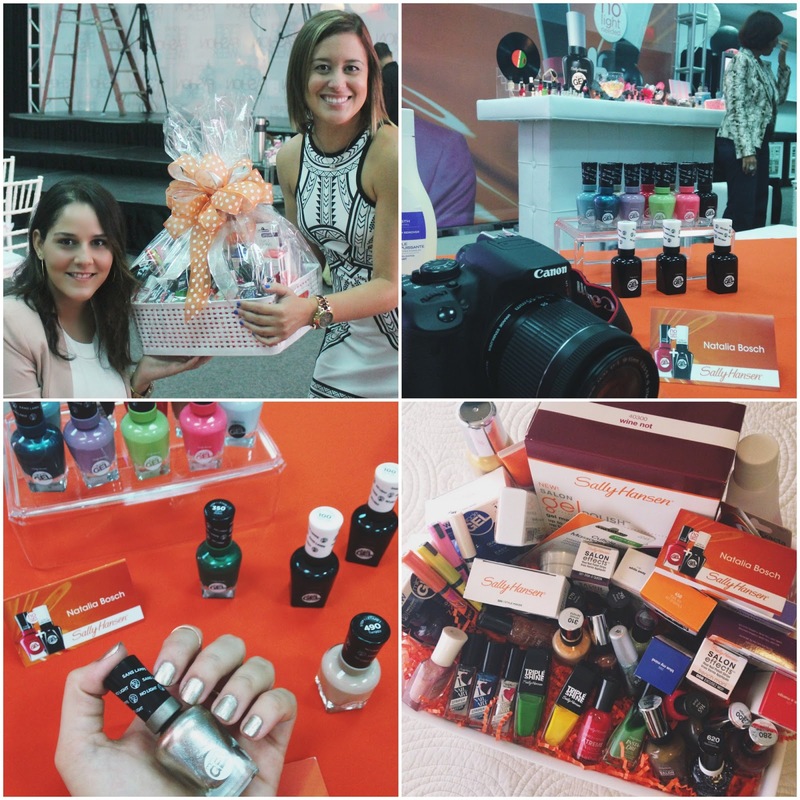 Variedad de esmaltes de uñas (10), Combo Miracle Gel (1), Salon Effects Strips (2), Nails & Cuticles Hand Cream (1), Nail Art Pens (2), Nail Shaper & Buffer (1) y Airbrush Shimmer para las piernas (1). Llene el formulario (a continuación) con sus datos. Great event and cool giveaawy!!! Great post, so so nice! Gracias Dianne por tu comentario. Siento los inconvenientes. Esperemos que muy pronto podamos hacer un sorteo internacional aquí en el blog y puedas participar. El colorido de los esmaltes es precioso!!! Cute post, looks like a nice event :) great blog, I have followed you with Bloglovin and if you ever get a chance to check out my blog I would be delighted, thanks! Amazing, right? My manicure is still intact after a week. Thanks for your comment Rachel. Thank you so much for your sweet comment. Really appreciated. Gracias Anjara por tu comentario. Esperemos que pronto podamos hacer un sorteo internacional en blog, para que todos puedan participar. Gracias por el apoyo, ya te sigo. Que evento tan chulo! Me han encantado los esmaltes, las fotos...y los cupcakes!! Qué chulada!! unos colores geniales!! un beso!! What a fun event and a great giveaway! I've been dying to try this nail polish. looks like you girls had a super fun time!